As Chairperson of the Security Benefits Fund, I am pleased to provide you with this booklet containing important information on the benefits negotiated by your Union and provided through the retiree benefit fund. It is our goal to have all our retirees familiar with all the benefits that are provided through the Retiree Benefits Fund. Please read this booklet carefully and keep it in a convenient place for handy reference in the event that you need to take advantage of its benefits. In addition, should you have any questions concerning the plan or require assistance, please do not hesitate to contact the Fund Office at (212) 941-5703. Dental Benefits – This benefit provides coverage for general dentistry, prosthetics and orthodontia. Optical Benefits – This benefit provides an eye examination and one pair of glasses for each Retiree, spouse and dependent children every year. Supplementary Maternity Benefit – The Fund will reimburse the retiree $1000.00, over and above any insurance benefit received in maternity cases. Adoption Benefit – The Fund will reimburse a retiree up to $1000.00 towards the cost of a legal adoption. Annual Physical ExaminationThe Annual Physical Examination is provided by Manhattan Internal Medicine Associates, P.C. The member and spouse are covered at no cost. No voucher is necessary, just call and make the appointment. Visit the link section for contact information. Supplemental Hospital-Medical Benefit – The Fund will make a reimbursement of $75 per day to any Retiree or spouse who is confined in a hospital up to a total maximum reimbursement of $750 per year. The supplemental Hospital-Medical benefit is not payable for Maternity Cases. Hearing Aid – The Fund will provide a hearing aid for retiree and spouse. The benefit is payable once every four years and will be for $400 for each ear to cover the cost for an examination and appliance. This benefit will be offset by any reimbursement from any insurance plan. A claim form is necessary and is available from Cook Associates. 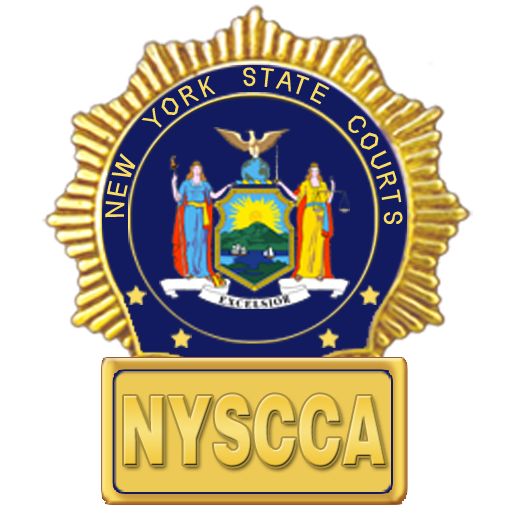 You are a Retired Member of the New York State Court Clerks Association Security Benefits Fund. Retirees and their eligible dependents, as defined on pages 2-3 of the section entitled “General Information” are covered. However, only eligible dependent children up to their 19th birthday arecovered for orthodontic benefits. Orthodontic services are reimbursed according to a fee schedule up to a lifetime maximum of $2,865 (effective June 1, 1996). A period of orthodontic treatment starts on the first day your dependent incurs a covered expense for orthodontia and extends for a period of 24 consecutive months or less if the treatment is completed in less time. The orthodontic benefit is NOT included in the yearly dental maximum. *The diagnosis and insertion of the initial appliance; Once, up to $580. *$90 per active monthly visit with a maximum of 24 consecutive visits. If your dependent misses a monthly visit, the Fund will not reimburse for that month but it will be counted toward the 24 consecutive visits. Please note that the initial work up and the initial appliance are reimbursed only once during a period of orthodontic treatment. What is the Participating Provider Option (PPO)? In cases of emergency, you are covered for a maximum of two visits per member per contract year for services rendered by an affiliated provider. However, if you have had regular check-ups, or are undergoing treatment, the two visit limitation will be waived. If the emergency occurs out-of-area, or in the unlikely event you are unable to reach an affiliated provider, you will be reimbursed up to $25 per family member per contract year, upon presentation of bills for palliative care rendered by a non-participating dentist until treatment can be obtained from your participating provider. In the event you are unable to reach your own affiliated dentist, DENTCARE provides 24-hour emergency service operators. No optical voucher is required when obtaining your optical service benefits from the GVS network. Just call one of the listed optical locations in the GVS brochure for an appointment. The Fund will reimburse a covered member in the amount of $1,000 per birth. To apply for this benefit, a copy of the birth certificate or a statement from the hospital, must be filed with the Fund Office. The Fund will reimburse a member $1,000 per family for costs associated with the adoption of a child, providing adopted child has no previous family relationship to either parent. Adoption must be through a licensed adoption agency accredited in the United States. Only one claim and one payment of $1,000 per annum will be paid. This benefit provides reimbursement up to $400 each ear for a hearing aid device prescribed by a physician or audiologist. This does not include batteries or repair, only the hearing aid itself. The benefit will be available every four years and will be offset by any reimbursement from any insurance plan. A hearing aid claim form is available from Cook Associates. When a retiree or spouse is confined in a hospital, the Fund will provide an allowance of $100 per day up to a maximum of $1000 per year. This amount is in addition to any allowance provided by Blue Cross. The Fund will reimburse on a per stay basis. The maximum allowable benefit is $1000 per year. To file a claim for this Supplemental Hospital-Medical Benefit the member should submit to Cook Associates, a copy of the hospital bill which will reflect the name of the patient and the period of confinement. It is not required that the bill reflect the reason for confinement. The claim must be filed within 90 days of the date of release from the hospital. The day of discharge is not covered by this benefit.